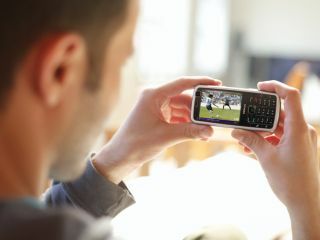 The European Commission has backed the Digital Video Broadcasting Handheld (DVB-H) mobile TV standard backed by Nokia and called on member states to encourage its widespread adoption. "For mobile TV to take off in Europe there must first be certainty about the technology," said European Telecoms Commissioner Viviane Reding. Some countries, including the UK, have been opposed to a single DVB-H standard. The GSM Association, which represents mobile providers in member states, has said the market should be left to decide the standard, rather than a standard being imposed on the market. "An official endorsement does carry weight but it's not clear if DVB-H is necessarily the best standard," a GSM Association spokesman said. Regardless of standards, the real question is surely whether (or not) mobile TV providers can actually make any money from the service. iPhone owners excluded, will the vast majority of people really want to watch – or even have time to watch – TV on a one-inch screen? The EU Commission hopes they will and remains hopeful that the Olympics and European Championships will help to drive demand as the year progresses. Of course, with all the home nations having failed to qualify for the football, the chance of a sports-fuelled mobile TV bonanza occurring in the UK during the summer looks wholly unlikely.